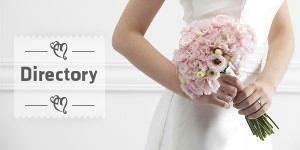 Wedding planning & design agency specializing in modern and sophisticated celebrations in French Riviera. The best Swing, Jazz, International pop music and Dance music. Music for ceremony, cocktails and dance party. The Gleams is not just another wedding band. The group is one of the most recognized party bands in France. We like to think of the wedding planning process as a fun play-date with a serious mission: creating the flawless, stress-free, impeccably planned destination wedding you’ve been dreaming of. When you choose highstandard-DJs, you're choosing a professional DJ who knows how to cater to an international crowd and with a made to measure experience, we offer all of our clients a tailor made playlist! We plan your bespoke refined destination wedding in the South of France (French Riviera & Provence) on the most beautiful, exclusive and charming venues of the area and with experienced and high-standard vendors only. The soul of elegance for your wedding. Make an entrance by private launch. Guests can make a procession down the Grande Allée lined with candles. The setting is incomparably romantic and glamorous while the illustrious history of this legendary property add to the distinction of your wedding. Simply Lovely is our way of thinking and feeling life. Simply Lovely is us, Jess and Yoanna, a couple passionate about photography, filming and travelling! Wedding photography is our way of telling stories, your story. That is what makes us feel fulfilled and gives meaning to our work as photographer. We like to feel and capture all the emotions of that day, those sincere and spontaneous moments: a smile, a stolen kiss, a knowing look... Expressing through our images those extraordinary and unique moments of life. We search the magic of every single moment through a natural and artistic vision. Rock my Love is a wedding planner agency in the South of France created by Angelique and Manon, mother and daughter, working together with full complicity and complementarity. We plan the finest and most memorable chateaux holiday experiences in France. Our experienced and unrivalled team of British wedding designers and planners will help and guide you to create your perfect day.